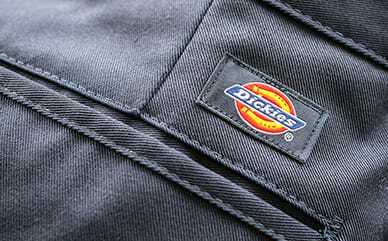 A staple for every work wardrobe, Dickies’ Midweight Fleece Full Zip Hoodie is perfect for those cold-weather months. Created with a drawstring hoodie for an accurate fit, this full-zip hoodie is going to provide an ideal fit. The soft fleece fabric is soft to the touch, will keep you warm, and pairs with 2 hand-warmer pockets for hand warmth.